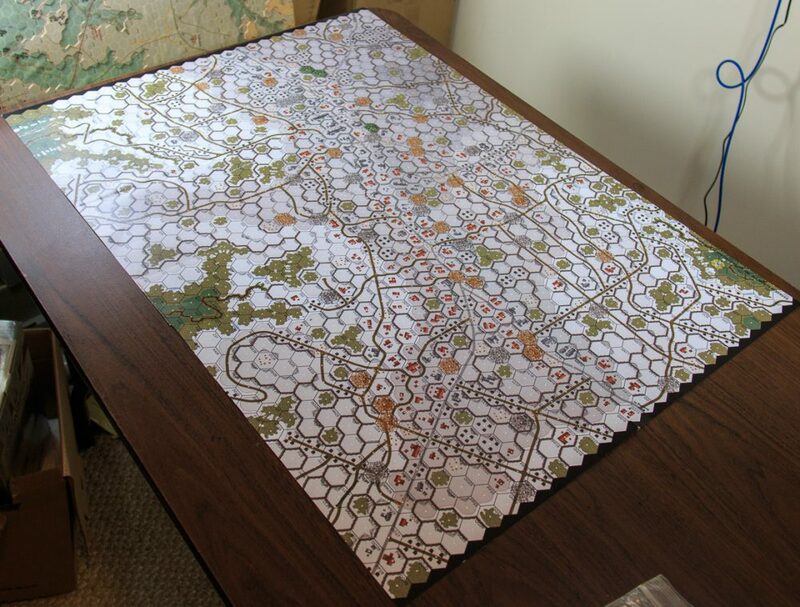 Historical map consisting of 4 glossy 12" x 18" unmounted (heavy paper/light cardstock) map panels; 8 scenarios, 4 pages rules, 736 die-cut counters. 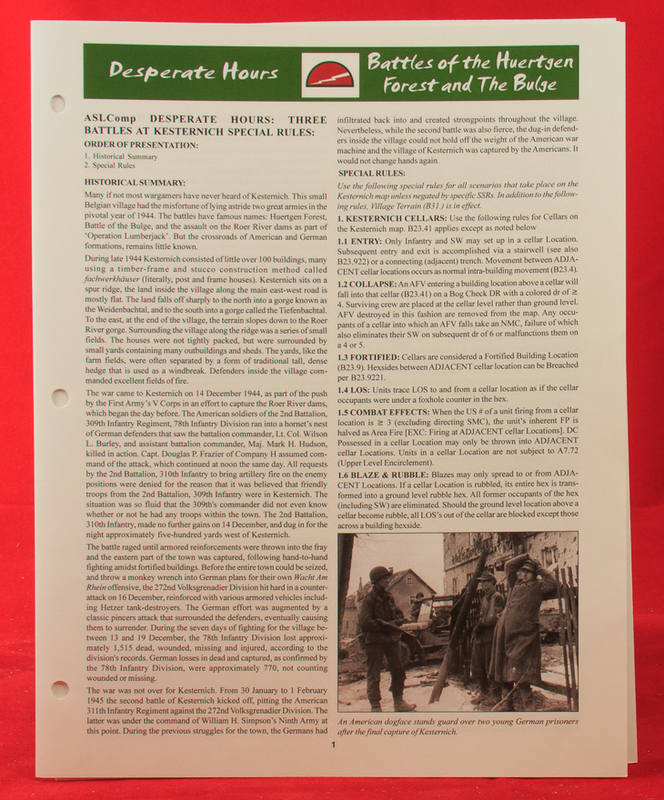 Desperate Hours (hereinafter DH) is a historical module set on the border of Belgium and Germany in December 1944 through February 1945 that depicts three different actions set in the small village of Kesternich between the U.S. 78th Infantry Division and the German 272nd Volksgrenadier Division. The different actions are the initial U.S. capture of the town in mid-December 1944, the recapture of the town by the Germans soon thereafter in a large counterattack, and the final permanent liberation of the town by the Americans in early February 1944 after the end of the Battle of the Bulge. The module mistakenly describes Kesternich as being a Belgian town rather than a German one, despite the fact that the historical introduction in Desperate Hours is essentially a plagiarization of the Wikipedia article on the battles (and which does correctly note the location of Kesternich). The fact that this module does not even correctly name the country in which it is set may be taken as indicative of the time and attention that seem to have gone into this product. 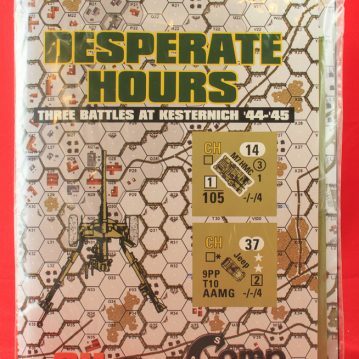 The idea of a historical module that features several different contests for the same place is an interesting one, but unfortunately Desperate Hours does not appear to be so much a serious treatment of the subject as a semi-generic historical module. 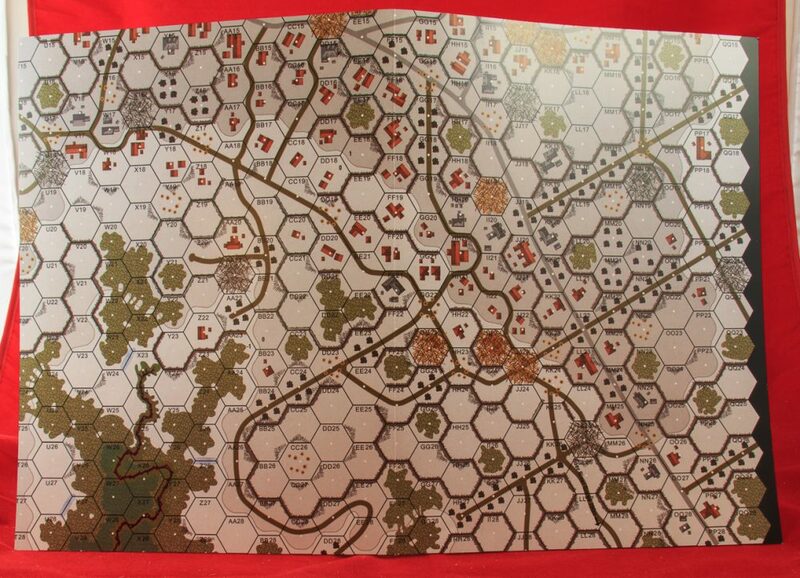 Although it has a historical map, the rules are very generic (see below), the counters are off-the-rack, and the scenarios have a generic feel to them as well. In this, DH resembles another recent Critical Hit product, St. Lo. It is possible ASL players may see more such semi-generic products coming from Critical Hit. 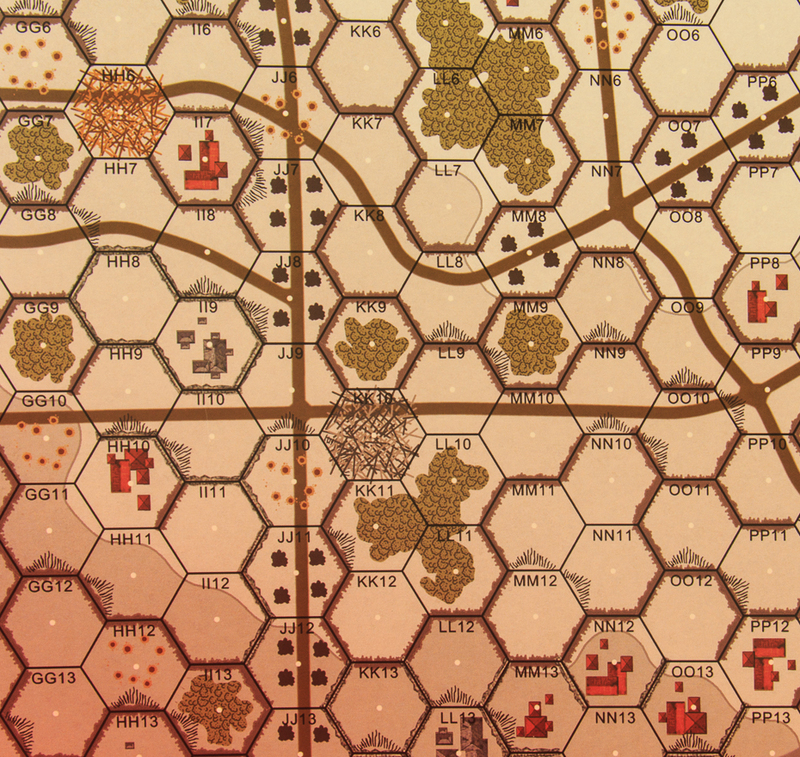 The historical map for DH consists of four glossy, slightly overlapping map panels that must be assembled to form the playing area. 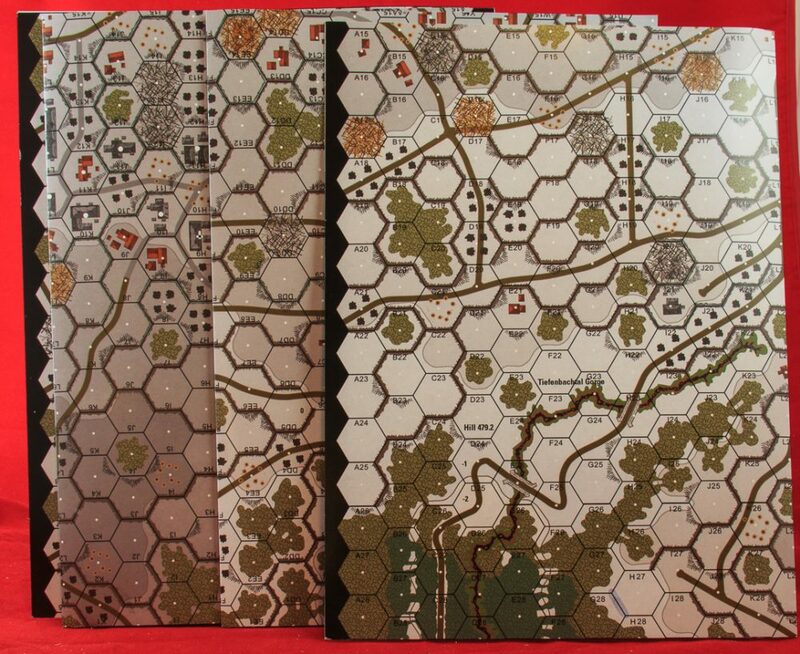 The map panels are light cardstock/heavy paper. The gloss adds reflective glare but usually provides brighter colors. In this case, that effect is limited because much of the map consists of shades of gray. This is because the map is ostensibly “winterized.” Winterized ASL maps are maps that use artwork intended to simulate snow-covered terrain, to give it a wintery feel. Unfortunately, the map is only winterized in that terrain levels are rendered in shades of gray. No other artwork–woods, roads, buildings, etc.–has been changed to reflect the season, as is common in many other “winterized” maps (see Kampfgruppe Scherer for one example). More could have been done here. The map itself depicts the village of Kesternich and some of the surrounding terrain. It does vaguely resemble the actual village of Kesternich, but that’s about as far as it goes. The artwork is not bad, though most of the building artwork is constructed out of a few basic shapes that are lumped together in different configurations to make it seem as if buildings are different. On the good side, the module avoids a problem that has plagued many recent Critical Hit modules and geoboards: horribly rendered bitmap buildings. So that, at least, is a plus. 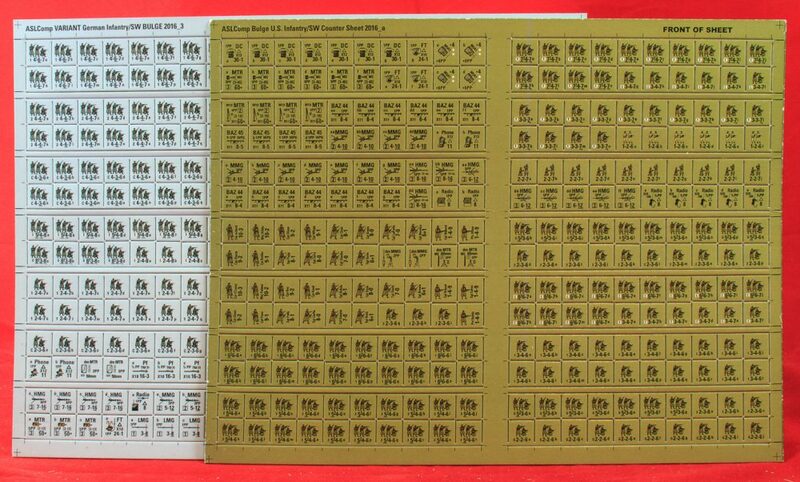 DH comes with 2 sheets of 1/2″ counters (560 total) and 2 half-sheets of 5/8″ counters (176 total). The counters are virtually all standard U.S. and German counters and are thus not necessary for the module. The few exceptions are only to accommodate some of Critical Hit’s “generic” rules (see below). There is one thing that is different about some of the counters. 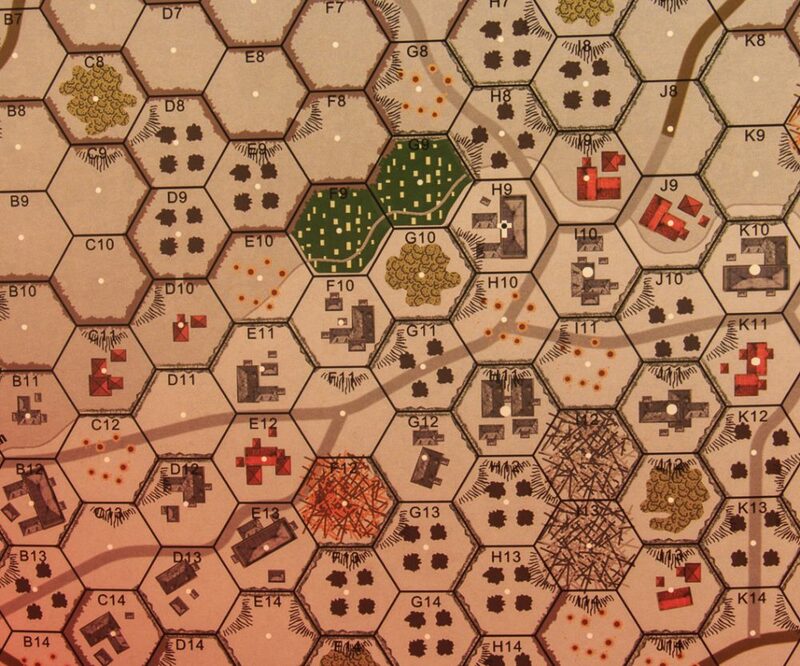 The American counters are not rendered in standard ASL American-green but rather in a dark shade of Olive Drab. This is something that Critical Hit introduced in late 2016 and began applying to many of its subsequent products. Olive Drab is a bit boring (it’s called drab for a reason) but it is an acceptable color for American counters. There’s a problem, though, in that Critical Hit chose a fairly dark shade of Olive Drab for its counter background color, but used black as the color for counter information instead of switching to white (which is what many wargames do when they have dark Olive Drab colors). As a result, the American counters are not always that easy to read, especially in rooms that are not well lit. When DH was originally released, it was missing one of the 5/8″ half-countersheets, one with American vehicles and concealment counters. Critical Hit subsequently mailed a copy of the missing sheet to people who had purchased the product directly from Critical Hit but it is possible that some retail or on-line copies might still be missing the sheet, in which case purchasers should contact Critical Hit. 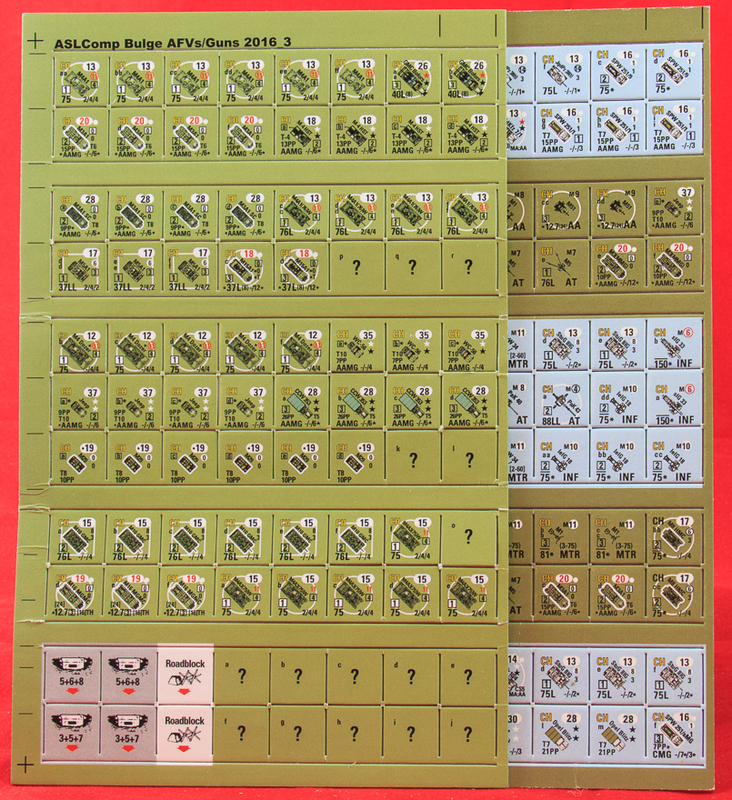 Unfortunately, the replacement countersheet is printed in a somewhat different shade of Olive Drab than all the other American counters, presumably because it was printed in a different batch. It can be irritating when one side’s counters in a game come in two mismatched shades. One solution, of course, is just to use real ASL counters instead (esp. since they are more readable). The counters are not very well die-cut, which has been a problem in several recent Critical Hit products; they may need to replace their dies. It should also be noted that there are issues with both of the 5/8″ countersheets. Something is weirdly off with the middle set of counter rows on both sheets. For these sections of 24 counters on both countersheets, the print alignment is off, with the result that the counters are all vertically lopsided, with large open spaces on top and the counter information pushing up against the bottom of the counters. For one of the countersheets, an additional problem is created, because the middle section is German blue while most of the countersheet is American Olive Drab. The misalignment, however, means that 8 of these counters have a very noticeable Olive Drab stripe across their tops. There are 4 pages of rules for DH, but this is a bit misleading, as virtually none of the rules have anything to do with the battle for Kesternich. Rather, almost all of the rules are generic rules previously created by Critical Hit and thrown into many of their products featuring Americans. Indeed, the rules for Desperate Hours are almost interchangeable with the rules for St. Lo. These include cellar rules, bayonet charges and marching fire (appropriated from Kinetic Energy, it should be noted), “Light” slope rules, “Handi Talkie” and “Gammon Bomb” rules, optional Cargo Trailer rules (Critical Hit can’t let this one die), Concrete Armor rules, and so forth. All of them generic and not specific to Kesternich in any way. Indeed, one could pretty much say there are no Kesternich rules. This can be seen with one of the few places in the rules pages that actually refer to the local situation. Rule 19 is titled “New Vehicle Types” and reads “A handful of new vehicle types are provided for use in Kesternich scenarios. Refer to the values printed on the counters for each.” So with one of the few times the rules refer to something new and specific to the Kesternich actions, they punt and do not provide any “Chapter H” style rules for such vehicles at all. Usually, third party ASL publishers leap at the chance to introduce a “new vehicle.” Not here. It is not, in any case, very clear what the “new vehicles” actually are. DH comes with eight scenarios, six of which use only a portion (often a pretty small portion) of the map. The scenarios are pretty generic, with both sides arrayed on the map (or in a few cases, one side entering from off-board). Only one scenario has any reinforcements at all. There are barely any “flavor” SSRs and victory conditions are typically simple. The historical descriptions seem “borrowed” from Wikipedia. It’s really not clear how much research was put into DH. Five of the eight scenarios use OBA. None use Air Support or Night Rules. Most of the scenarios are large in size. The American player attacks in six of the eight scenarios. There is one “monster” scenario, KN5 (The Fall of Kesternich), ostensibly depicting the major German counterattack on December 16. Here the Germans have 58 squads, 11 leaders, and 14 AFVs. 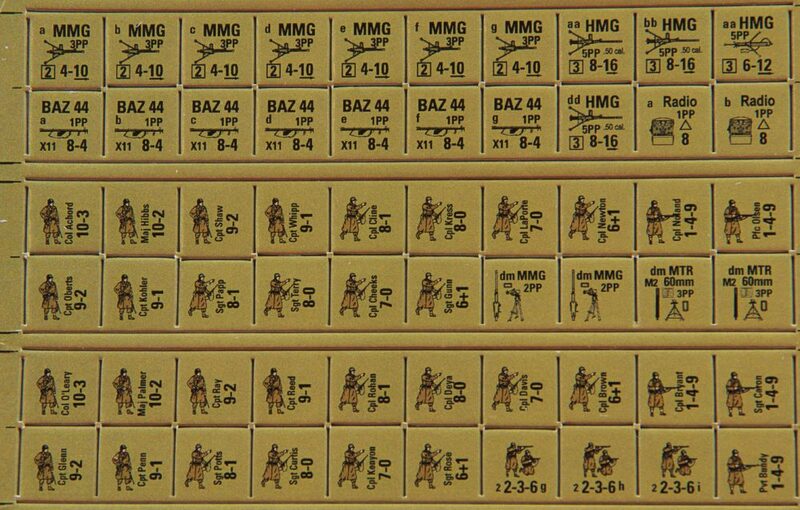 The Americans have 29.5 squads, 5 guns, and 12 MMG or HMG, as well as three modules of 60mm OBA. 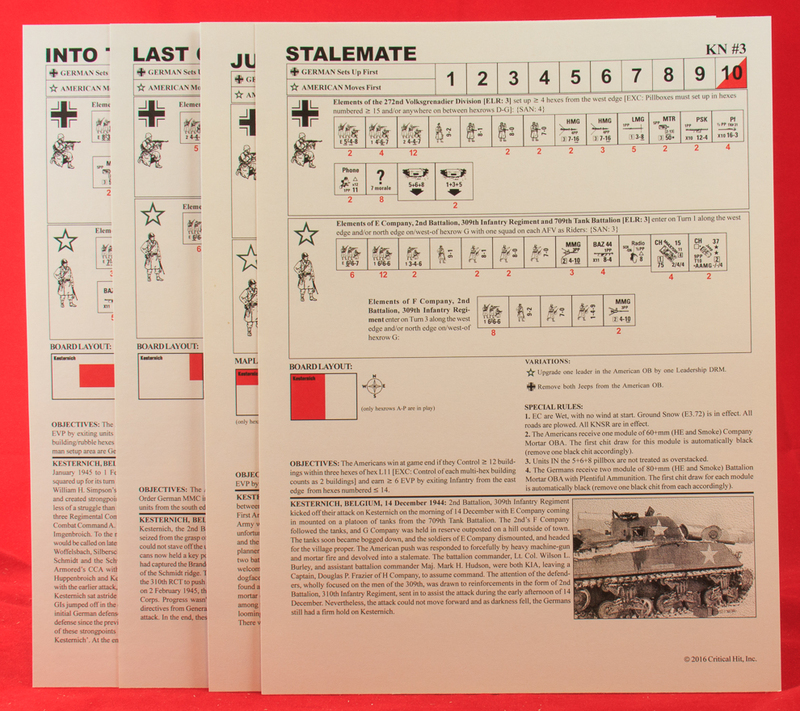 The scenario cards are not always sufficiently proofread; for example, KN3 (Stalemate) has a German OB that features 2 HMG right next to 3 HMG. Presumably, one or the other of these two items was supposed to be MMG, but it is not clear which. No playtesters at all are listed and potential purchasers should draw the obvious conclusions from that. 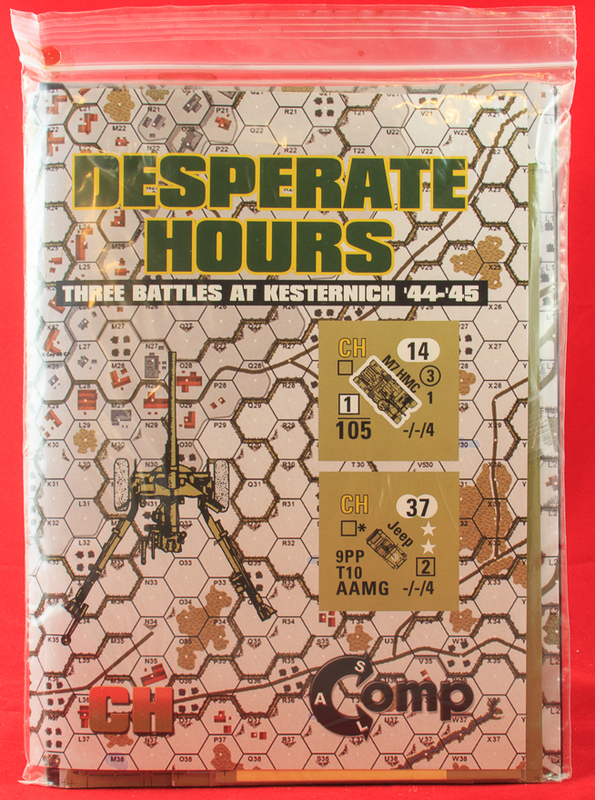 Overall, Desperate Hours does not give the impression of a historical module carefully researched, designed, playtested and developed. Rather, it has many hallmarks of a product hastily thrown together around a map.